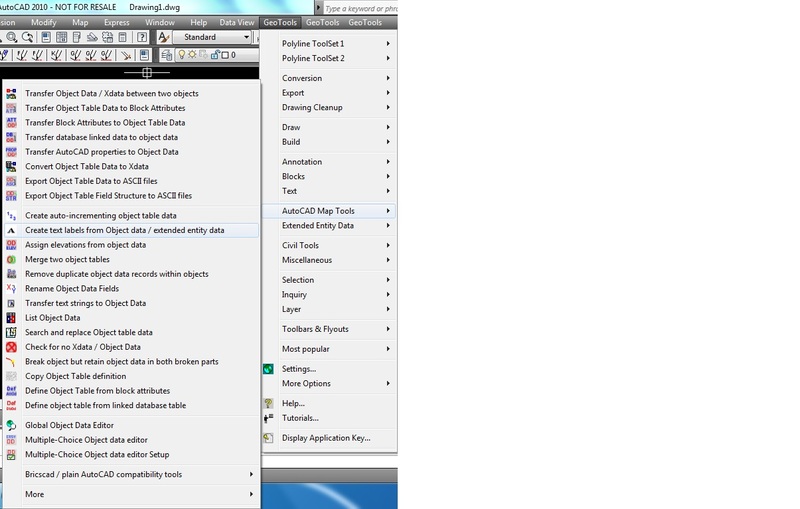 The familiar MLINE command of AutoCAD is not yet available in Bricscad natively. 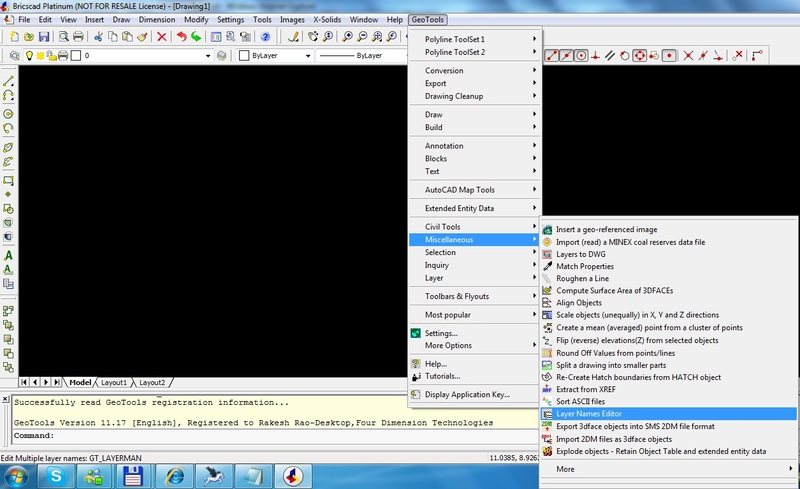 However, what is unknown to many is that this command is available to Bricscad users via a small FREEware add-on called BCadTools from Bricsys itself. Created by Bricsys veteran programmer Torsten Moses, BCadTools has a bunch of other tools useful to enhance general productivity in Bricscad. But the implementation of MLINE as a custom BRX entity in BCadTools is one that I think is most useful and important to many CAD users. The MLINE command implementation looks very good - complete with multi-line styles and all other settings. Those of you who are missing the MLINE command in Bricsad can download BCadTools and give it a try. Other tools of interest are those related to attribute management and layer management. GeoTools V 11.18 - Update Released Today. You can specify which one of the multiple 1000 field codes you want to use during the annotation by specifying the correct parameter in the 'Occurrence' edit box. If you choose 1000 as your xdata code to annotate, and type 3 in the edit box meant for 'Occurrence', the command will use 'Bangalore East' as the annotation string since this is the third occurrence of the 1000 code. Until now, there was no way to specify which code was to be used. It would always use the first occurrence of the code. We plan to extend this enhancement to the GT_PL_DATALBL command also in the future. GT_IMPEX: (GeoTools -> Export Tools -> Import/Export points and lines): An additional option has been provided under the points import feature. Until now, it was possible to connect ALL the imported points with a SINGLE polyline. Now, two additional options have been provided which enable a new polyline to be created when there is either a blank line in the input file or when the point description changes. GeoTools V 11.16 & 11.17 - Update. GT_ENCLOSE (GeoTools -> Text Tools -> Enclose Text in Box): The GT_ENCLOSE command now supports additional options to enclose text objects. You can now use either a WIPEPOUT, SOLID or 3DFACE object to create the enclosing bounding box. 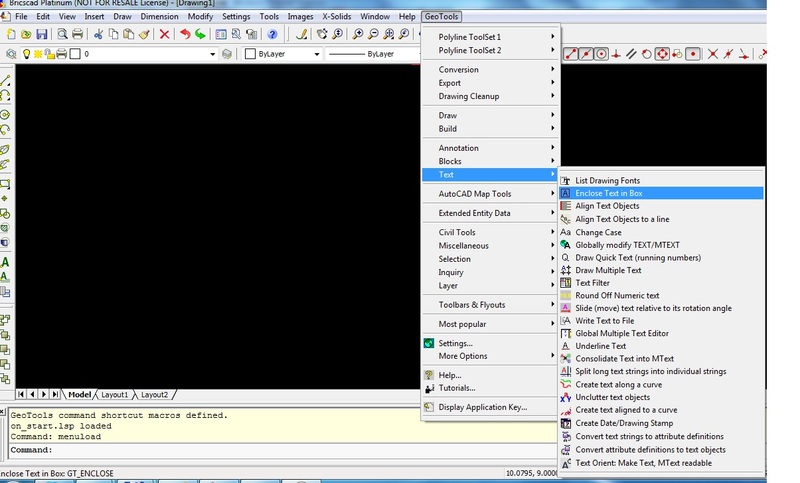 These are provided under the 'Box' sub-option and closely mimics the AutoCAD TEXTMASK command. GT_LAYERMAN (Geotools -> Miscellaneous Tools -> Layer Names Editor): Two additional options have been introduced 'Add at Position' and 'Strip at Position'. These two options allow you to add or remove a specified number of characters from the layer name starting from a specified position. For instance, if you have layers called LOTS-LABELS, LOTS-LINES and LOTS-CENTROIDS and would like to rename them to LOTS-OLD-LABELS, LOTS-OLD-LINES and LOTS-OLD-CENTROIDS, this is the tool to use. GT_SURFAREA (GeoTools -> Miscellaneous Tools -> Compute surface area of 3dFACEs): Computes the surface area as well as horizontally projected area of selected 3DFACE objects. In addition, you have the option to create the 'projected' 3DFACE objects on the XY plane. Bangalore, India, February 2, 2011 - Bricsys NV, Belgium, along with its India partner, Coordinate Systems have appointed VK Design Techniques Pvt. Ltd., Bangalore as an Authorized Training Center for Bricscad software in India. VK Design Techniques Pvt. Ltd is a CAD business in Bangalore specializing in CAD drafting, training and detailing services in the fields of piping, HVAC and plant design. VK Design Techniques has trained specialized engineering personnel for some of the leading industries in this segment like L&T, CEtech Engineering, L&T Valdel, Essar Oil, Praxair India as well as engineering service providers like Infosys Technologies, Pixel Infotech and others. With over 500+ students trained in domain-specific CAD skills, VK Design has carved a name for itself as a finishing school for CAD drafters wishing to hone their skills and make a career in the oil and gas industry. With its immense experience gained through CAD detailing projects which are executed on an off-shore/on-site model, the training provided at VK Design comes straight from its industry experience and is hands-on. Mr. Vasudev Yargatti, the CEO of VK Design Techniques has always been on the lookout for alternative-CAD for those clients who would like to deploy a large number of CAD seats but for whom AutoCAD license costs are prohibitive. With AutoCAD LT lacking the power to customize, and other IntelliCAD-based products having stability and extensibility issues, Mr. Yargatti believes Bricscad is a good-fit that serves all purposes at an affordable price point. Having now acquired the 'Authorized Trainer for Bricscad' status, VK Design now hopes to capitalize on this brand and promote Bricscad training as well as its use in the Indian design and engineering industry. Coordinate Systems will work closely and partner with VK Design Techniques in joint promotion exercises. Coordinate Systems in based in Bangalore, and has been in the business of CAD since 2004. It is a reseller for Bricsys products in India since 2008. Coordinate Systems is the developer of the GeoTools add-on software for Bricscad and has executed a large number of high-end CAD customizations for a number of clients worldwide.